In the history of any great people, sometimes there is a singular moment that so sums up that struggle and challenges the hearts of the people of the time that this moment becomes one that is both historic and mythical. In the long history the African American in this country, one such singular moment was the delivery of what has come to be referred to as the “I have a dream” speech during the historic March on Washington in August of 1963. And so even though we face the difficulties of today and tomorrow, I still have a dream. It is a dream deeply rooted in the American dream. I have a dream that one day this nation will rise up and live out the true meaning of its creed: "We hold these truths to be self-evident, that all men are created equal.” I have a dream that my four little children will one day live in a nation where they will not be judged by the color of their skin but by the content of their character. What is most striking about this text if you read the entire text is the hope. And it’s a wonderful tradition for every family to read this speech, perhaps on Martin Luther’s King’s birthday which is now a national holiday. Dr. King called upon his people to look up and look with hope toward tomorrow. But more than that, he called on all people to work together toward a shared hope, a hope of fulfilling the American dream that he discusses with such passion in his words. The setting for the speech was on the steps of the Lincoln memorial, within view of the Congress, the reflecting pool and the White House on the National Mall in the center Washington D.C. Dr. King called it hallowed ground reflecting his deep reference and respect for the icons of this country and his deep love of country which too comes through in the speech. 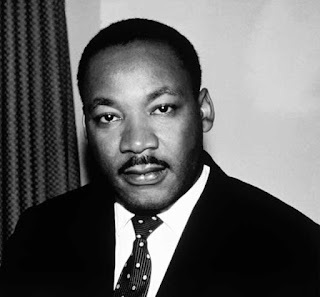 But it is a speech of struggle because he spoke of the fact that black people in America were still not living in an openly free and equal status with all other citizens. Dr King did not loose touch with the reality of the tough lives African Americans were living in the United States. That is why this speech is so perfectly crafted and so perfectly delivered. It combines the harsh reality and resolve by black leaders and the African American population to make the world better for themselves and their children with a hope and an optimism that this was a country that would not put up with the oppression and discrimination that has kept black people down ever since slavery. It is a speech that issued a call to action in the time frame of “Now” which was a call to action that many in the houses of power in our country took heed. They did take action immediately to get the process of renewal and repair of a broken social system moving in the right direction. One of the outcomes of this speech was the historic Civil Rights Act of 1964 which changed the fabric of the country forever in the legal restrictions it put on discrimination in every aspect of American life. If it had not been for the “I have a dream” speech, the March on Washington on that hot and humid August day might have just been another in the many protests and events of the civil rights era. Instead it became an iconic moment in American and black history that changed Dr. King into a national hero for black and white people alike and energized a movement and a nation to take matters into their own hands and make thing better for all people.